The aim of this program is to increase the value and volume recovery from existing resources to ensure that all wood fibre is utilised to its highest and best use. As FWPA is funded along the full value chain (i.e. growers, processors and the market), it is well placed to work with all value chain participants to identify opportunities for improved optimisation. There is significant interaction between this program and program 2 (aligning products to market needs) and program 4 (increasing resource availability and reducing risk), as they will provide market and resource information inputs. One of the impediments to full utilisation within the sector is the lack of viable markets for forest and mill residues. Some traditional residue markets such as newsprint and communication papers are in decline, although the market for hygiene and packaging papers remain strong. There is also growing interest in development of bio-chemicals, composite materials and bioenergy around the world. 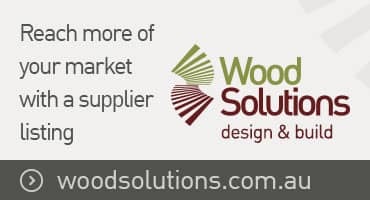 The challenge for Australia is to identify and adopt the best of these technologies at an appropriate scale to match regional wood fibre availability. Research areas include improved understanding of wood properties, resource characterisation, wood handling and processing, manufacturing systems and improved fit-for-purpose products, and information capture, storage and dissemination along the value chain. Identifying key knowledge gaps will involve industry and other stakeholders, as well as international liaison, to minimise unnecessary duplication of effort and to ensure the knowledge has a pathway to adoption.